With the weather warming up and the humidity rising, this means it’s time to switch up your daily skincare routine. As I’ve mentioned here and here, I have obnoxiously oily skin and I’m always looking for ways to find balance. 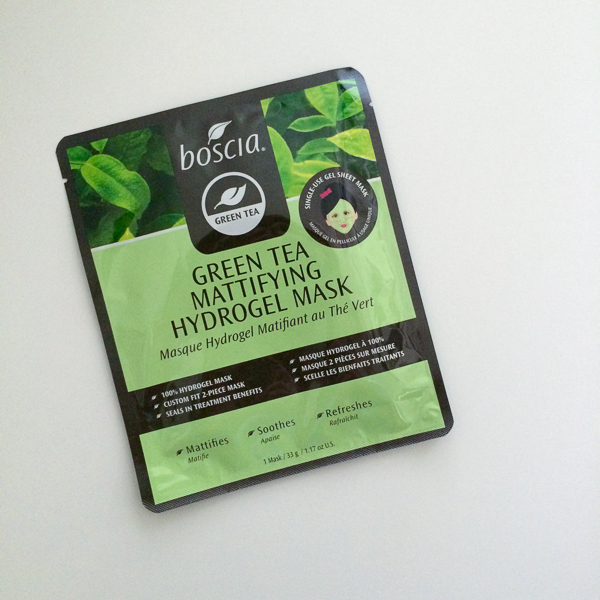 I’ve recently discovered this Green Tea Mattifying Hydrogel Mask from Boscia – it’s amazing! The Japanese green tea helps to reduce sebum production, acne-causing bacteria, and diminishes breakouts. It minimizes shine and excess oil with amino acids that contain antibacterial compounds. And it’s free of parabens, preservatives, sulfates and artificial aroma – another important factors when selecting any type of skincare. I’ve been using a mask 1-2 times a week and my face is feeling smoother, less irritated, less reactive, and less oily. Just in time for summer!